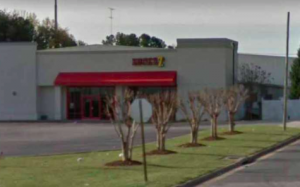 Jaylan Irvin Lassiter Killed, 1 Injured in Greensboro Sports Bar Shooting; Fatal Security Lapse? Could this senseless loss of life have been prevented and are justice and compensation available to Mr. Lassiter’s family? Gunfire erupted at a Greensboro sports bar early Saturday morning, September 8, 2018, claiming the life of 22-year-old Jaylan Irvin Lassiter and leaving a second person injured. According to the Greensboro News & Record, “officers responded to a report of shots fired at the Lucky 7 Sports Bar at 3407 W. Gate City Blvd.” shortly after midnight. FOX 8 reports, the two victims were transported to the hospital, where Mr. Lassiter tragically succumbed to fatal injuries. The condition and identity of the second victim has not been released. Did negligent security contribute to this Greensboro sports bar shooting? We represent individuals and families who have suffered a tragic loss or injury as a consequence of negligent property security. Read Our Legal Take below to find out if Mr. Lassiter’s family may have a legal avenue for justice and claims for substantial compensation in North Carolina, or call now for a free consultation with our legal team: 888.842.1616. Bar and restaurant patrons have a right to feel safe and secure while on the premises. The Murray Law Firm questions the level of security provided on the property and whether this tragedy may have been prevented. Have there been prior incidents of violence on or near property? What security measures, such as weapons screenings, surveillance cameras, bright parking lot lighting, and security patrols, were in place to deter crime and protect the victims at the time of the shooting? Generally, property owners are required to protect all those legally on the premises from any foreseeable harm. Should the facts of this matter reveal that the sports bar owner failed to provide adequate security to protect those on its premises, the family of Jaylan Irvin Lassiter may seek justice and elect to pursue legal claims for their loss. Additionally, the other victim of this shooting may pursue legal claims for injuries.